It gets used quite a bit. Pretty much anytime I go there are orders getting served in the drive thru, and everytime I walk down Washington there's a car getting food or pulling out. Just a general inquiry. If you look at the top 6/7ish threads in the North, Northeast, and Southeast tab, it starts to show that really there seems to be a higher concentration of residential towers, the kind you would expect to see downtown, in these neighborhoods than downtown. Question is, do you think this proliferation of towers in the outer neighborhoods is in recognition that downtown seems to be lacking just that- true neighborhoods? North Loop is obviously emerging as one, but Northeast and the University areas really stand as self sustaining neighborhoods much more than the downtown neighborhoods. Do you think that once the Trader Joes is completed, Downtown East will fill with more of these larger scaled (20-40 story) towers? Just something I noticed. Feel free to bite. Micro unit apartment building in Marcy Holmes stirring up usual responses. The Planning Commission approved the micro apartment building on Monday. The University will be renovating the existing Parking and Transportation Services building (attached to the Washington Ave Parking Ramp, facing the LRT station) and building an two-story addition into the green space beside it to create a Public Safety facility to house UMPD, University Security, and the Public Safety Communications center. In an effort to update UMPD's image to better align with the increasingly dystopic militarization of American police forces, the new addition will feature a 20' tall, blank concrete wall that says POLICE on it. Huge PDF. This project starts on page 216. And PTS wants to move into my office space, displacing me to WBOB. Couple things, not related to the UMPD mess. Shepherd Labs is under renovation. They're taking that awful 1st floor facade off. Are there any brand new projects in this area currently being discussed? Current discussions include a brand new hospital adjacent to the new Clinics and Surgery Center, hence the recent land purchases by the U Regents. There are talks to replace the current hospital with student housing. The Mayo building is a "do not invest" property and is slated for demo in the next 3-5 years. The whole Mayo building, tower and everything? That is still in discussion. My hunch is yes. In place, the Mayo area would be more student housing focused. It was something like "more housing along the river, hospital and clinics closer to the Huron Blvd freeway exit." A couple of clarifications about this project. The building receiving the addition is the Transportation and Safety Building. The building currently has 3 occupants - UMPD on the first floor, the Center for Transportation Studies on the second floor, and Parking and Transportation Services on the third floor. In conjunction with the expansion the UMPD is going to take over the second floor and the Public Safety Emergency Communications Center (PSECC) is going to move from its current location at University Office Plaza (2221 University Ave) to the Transportation and Safety Building. The Center for Transportation Studies will move to the University Office Plaza. Parking and Transportation Services will remain in its same location on the third floor. Awesome. Definitely makes sense to have housing closer to the classroom buildings and the transit mall. Hopefully they can get sufficient state funding to go big. Interesting! Any idea where I can find more info about this? Of course, the medical side of the U has more money and more clout with the legislature than other parts, but "slated for demo in the next 3-5 years" describes about 10% of the campus, and has done so for decades. The University wish list places any obsolete building, in any state of use, as slated for demolition and replacement, but they keep getting used for long after that. Anderson Hall, on the West Bank, has been on the 3-5 year demo list for at least fifteen years, for example. I'm sure my building, 2221, has been on that list for years as well, and in fact is probably getting some renovation in the coming months to accommodate a new department. 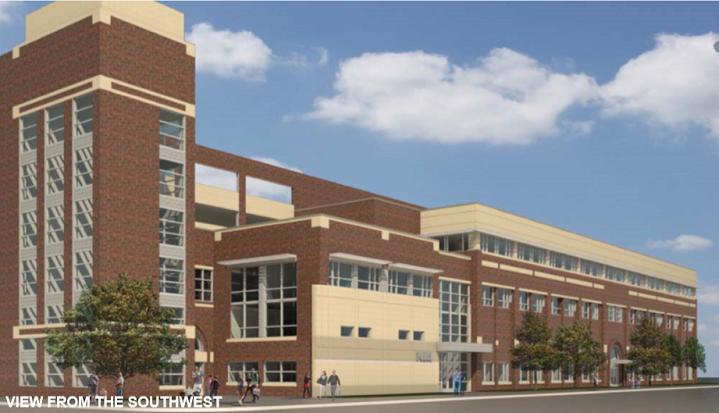 Academic Health Center Phase II is the overarching name for these big changes that are being implemented over a decade span, including the new Clinics and Surgery Center, new Health Sciences Education Center, new hospital, etc. Entire departments and labs have been and are being relocated out of old office space and into remodeled floors of PWB, Moos, 717 Delaware, and other adjacent buildings to make room for something like Mayo's demo. 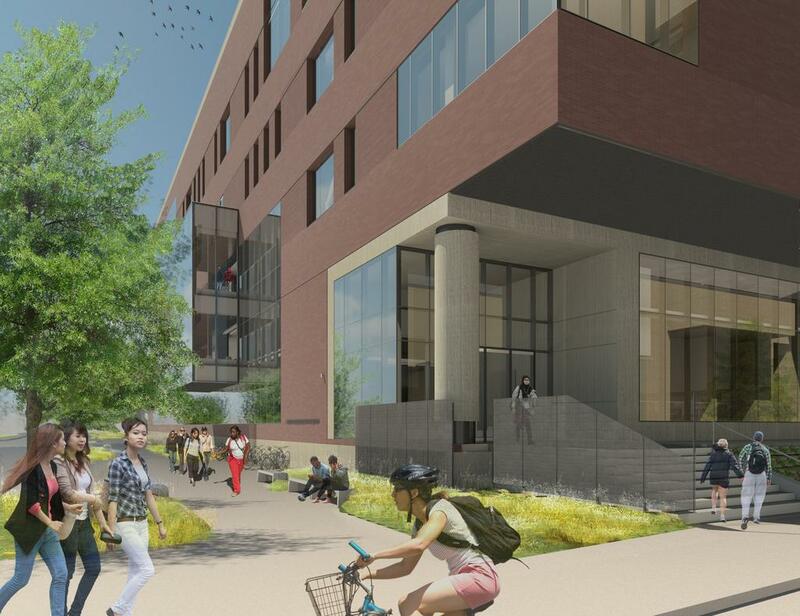 In predesign now is a new 100,000 GSF building to house clinic and research space. Budget $80M. There is currently an entire 1x1 block sitting empty right next to the Huron Blvd exit that is owned by the Regents, after some questionable exorbitant prices were paid for the last few lots on this block. Bordered on the north by Essex, east by Huron, south by Fulton, west by Erie. Something comparable to the CSC will go here. While there is the perception that the medical school has $ and therefore clout, its failed attempts at a merger with Fairview does not help the M Health brand and its cash flow. I.e. Fairview owns the University hospital, which has revenue of >$1.4B per year. It would be nice if there was a concerted effort to give the School of Public Health its own home. I went through those programs 15-20 years ago and there was talk of a new building back then that never materialized. To this day the school is split between East Bank and West Bank, and those East Bank offices are what no one else wants in the Mayo Building. Side note and this really isn't a criticism of just M Health but why are hospitals so terrible at master planning? I can't think of a single one in the entire metro that doesn't seem just tossed together with random architectural styles that don't fit together in any logical way.